On canvas and paper prints, Monument Valley View remarque appears above the quote. 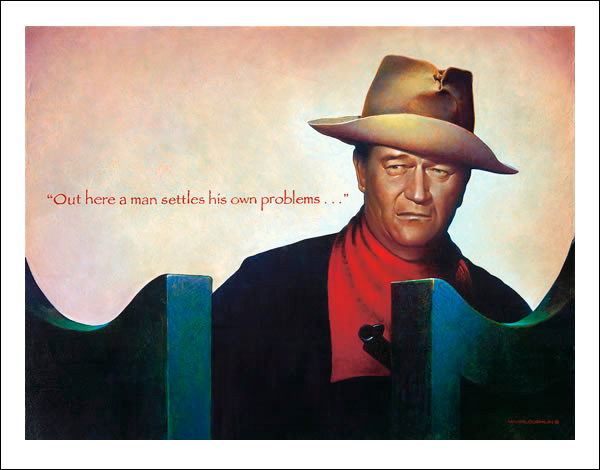 On canvas and paper prints, John Wayne's signature appears below the quote. Remarques aren't available for Open Edition prints. Also see our John Wayne leather pillow, "The American".